Once we have extracted the data from your invoices, you may edit them by manually typing in the text fields. This way you can add any missing information, or correct the information already present. We have also added some special features, to make the communication in your company easier. 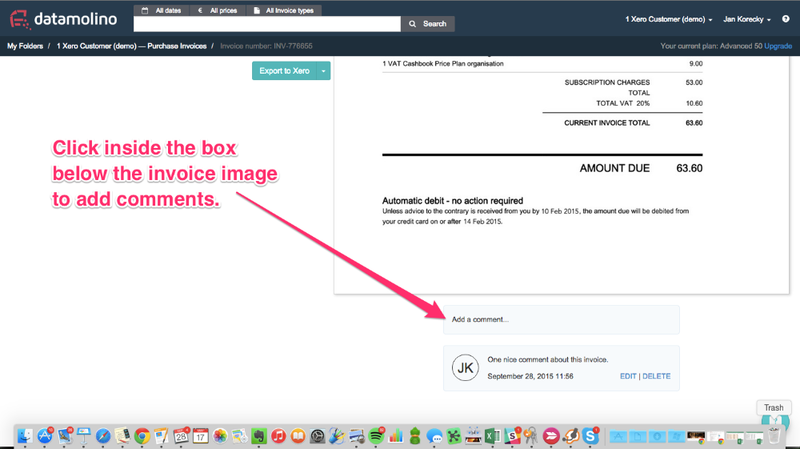 For each invoice, you may add comments. If any comments are added, all the users of the Folder will see an indication bubble besides the corresponding invoice number.